These powerful above-ground pumps feature corrosion proof polymer construction that will deliver years of reliable service. 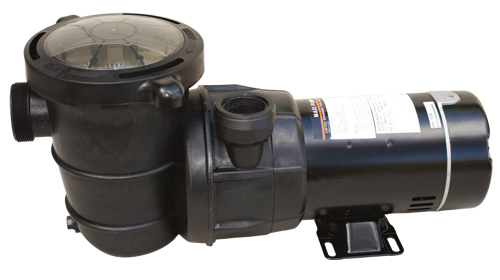 This high performance pump is quiet, efficient and self priming. Top discharge design fits most filters and its extra large clear lid allows for easy cleaning. Replace your old inefficient pump with this water moving dynamo. Comes with a 6ft. cord – 110 volt AC.